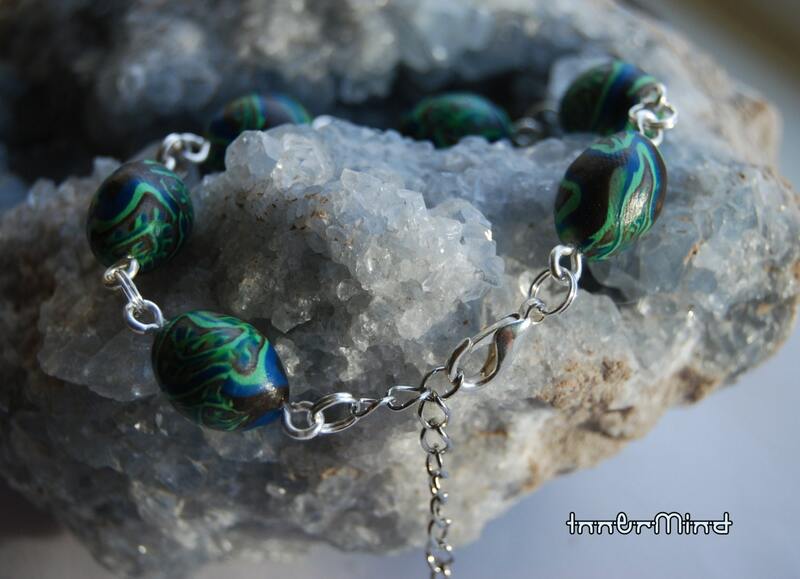 This unique bracelet is made out of polymer clay beads and nickel and lead free metal alloy connections. 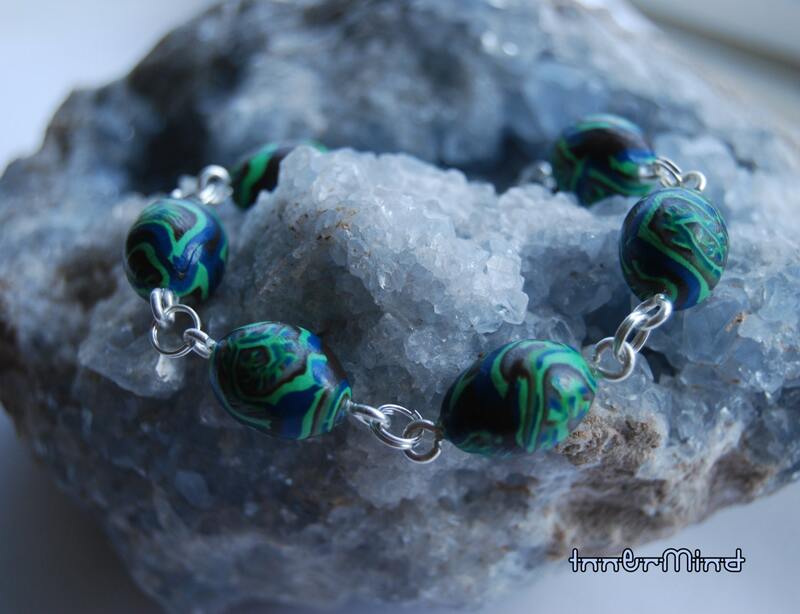 Every clay bead is handsculpted one by one by myself. 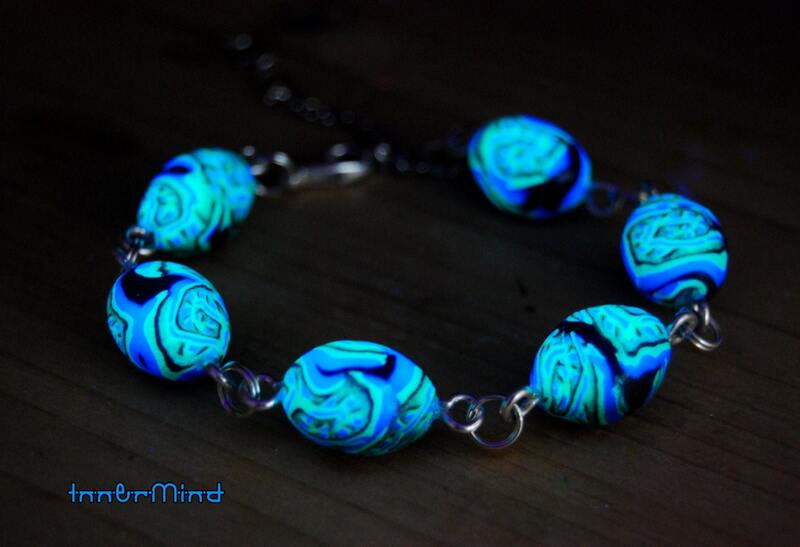 It looks great in daylight and under a blacklight the clay beads really glow. Really nice! 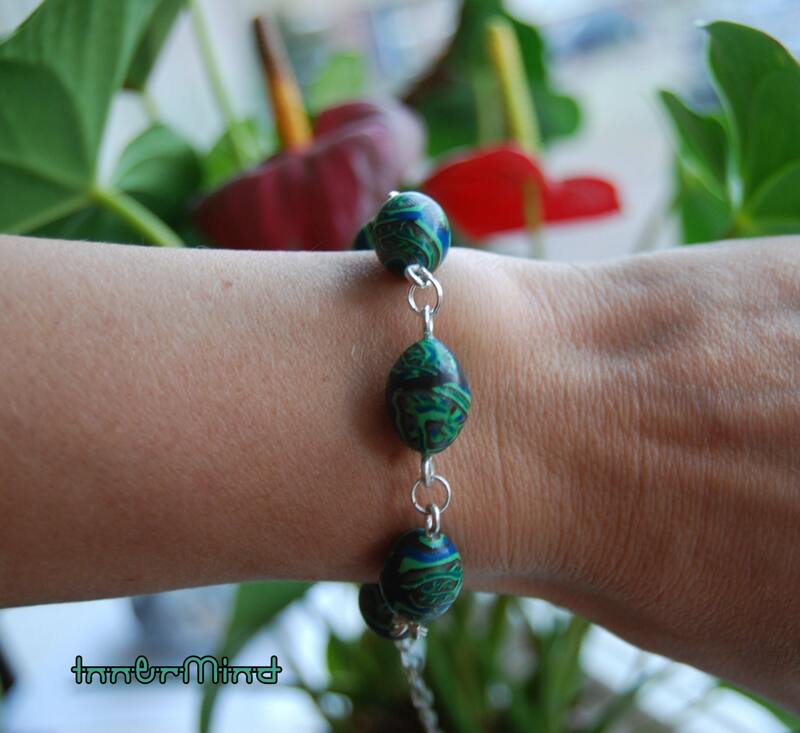 Made with quality clay so it is durable. 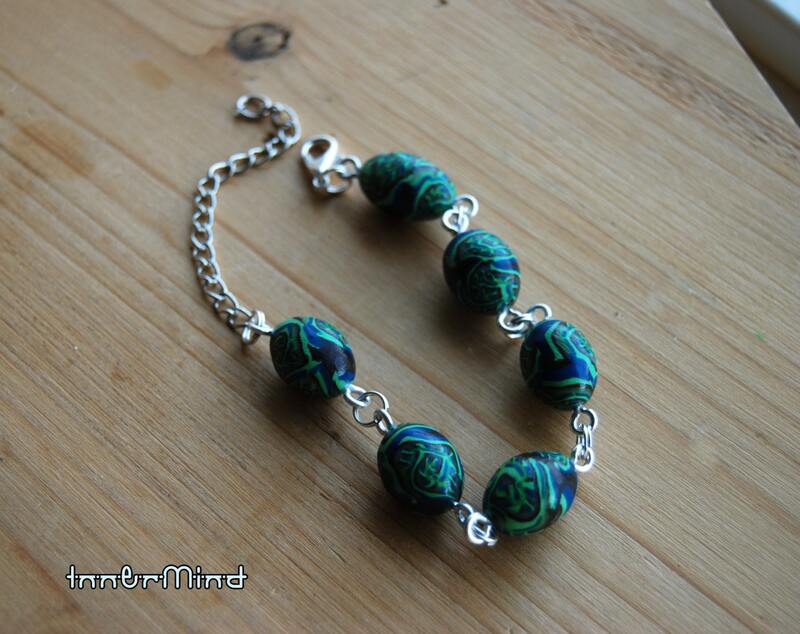 Will fit anybody because this bracelet is adjustable to your size.